59¢ Perennial Sale Starts April 26! Another consideration is a bulb garden of tulips, daffodils and hyacinths. If you have been invited to someone's home for the holiday celebration, a Spring arrangement makes a welcomed hostess gift. If you can't make it to the family celebration, Mischler's can have flowers delivered to the family gathering, whether it's in the local area or even out of town. 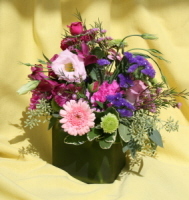 You can conveniently order on line at http://www.mischlersflorist.com or call one of our knowledgeable sales-persons at 716-632-1290 and we will custom design an arrangement just for you. We've been servicing the Western New York area with flowers and plants since 1944 and we want you to be a part of the Mischler tradition. 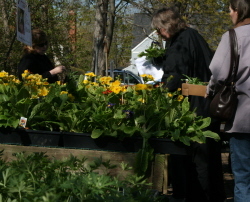 Beginning Friday, April 26, over 160,000 perennials will be available for purchase by gardeners eager to get started on the 2019 growing season. 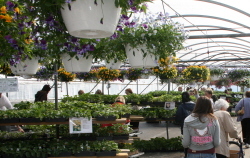 Mischler's Florist and Greenhouse's 21st annual sale will attract hundreds of novice as well as experienced gardeners interested in the 100 plus varieties available. This year's sale will be Featuring Native Plants! We have selected 11 species, true North American natives. 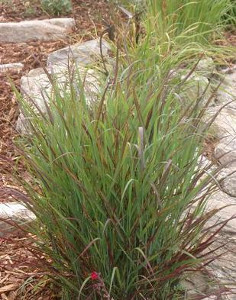 Choose from Perennials such as Butterfly Milkweed and Purple Cone Flower or one of the native grasses like Switchgrass. As an introductory year, you'll want to shop this section first. The interest and growing popularity of true area natives is sure to make this section the "hot spot" of this year's sale. One of the questions that is asked each year is, "Should I keep the sale perennials in the house, out of the inclement weather, until I'm ready to plant? The answer to that is, No. Our sale perennials will be "hardened off", which means they will be introduced to colder temperatures and remain outdoors several weeks prior to the sale. During that period, we carefully watch the outdoor temperature and cover all the plants with cloth if there is a frost warning. If you should encounter severe weather warnings, you should, likewise, cover your plants or bring them into a protected area under a porch or an unheated garage. Our perennials are hardy to our zone but all young plants are susceptible to frost damage. A followup question is usually, "When should I plant these?" We suggest getting them in the ground as soon as you can work the soil. The sooner the plants are in the ground the sooner they can establish a substantial root system. At only 59¢ each, sold in 4-packs only, at $2.36, these plants are a great start for the perennial gardener. 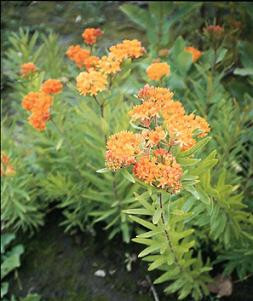 Whether you're creating a new perennial garden or adding to an existing one, you're sure to find the right plants for your needs from over 100 varieties. We know you've been waiting for what seems like forever to put some color back in your landscape. Now you can! With a variety of container sizes and colors, pansies put life where dried leaves once laid and patio pots brightened entrance ways and decks. Pansies are perfect early season plants because of their tolerance to the fluctuations of early Spring temperatures. Whether for personal pleasure or a gift for a friend, pansies always bring a smile. Upstate Gardeners' Journal tells the Mischler story! Michelle Sutton of Upstate Gardeners' Journal tells the story of Mischler's Florist and Greenhouses in the latest issue or read it online NOW. This unique horticultural art form has been around for centuries. Bonsai popularity has grown with the sustaining interest in miniature and fairy gardening as well. If you're considering entering the facinateing world of Bonsai, Mischler's has a variety of dwarf and miniature evergreens to help you get started. Choose from several different varieties of pine as well as cedar and cypress or perhaps a miniature holly would be to your liking. We also have established Bonsai, such as Juniper, Chinese Elm, Willow Ficus and Jade. In addition to the collection of plants we have starter kits which include shears, fertilizer, wire and an informative bonsai" how to" booklet. We also carrying structural wire, fertilizer, soil mixes and ceramic containers. Stop in and consider a Bonsai as part of your outdoor or indoor gardening. Mischler's 2019 Accessory Collection has arrived! retail area and discover fairy garden accessories, including furniture, ponds, bridges, fairy houses and more, to help you attract some of folklore's most elusive creatures. Stop in at Mischler's Florist and Greenhouses today to begin or continue growing your miniature gardening adventure! Administrative Professionals Day and Administrative Professionals Week are widely observed in workplaces throughout the world. Many employers and supervisors arrange events to show their appreciation of the work carried out by administrative professionals, to highlight their importance to the organization and to enhance their work-related skills. The first National Secretaries Week was organized in 1952 in conjunction with the United States Department of Commerce and various office supply and equipment manufacturers. The Wednesday of that week became known as National Secretaries Day. As the organization gained international recognition, the events became known as Professional Secretaries Week® and Professional Secretaries Day®. In 2000, names of the week and the day were changed to Administrative Professionals Week and Administrative Professionals Day to keep pace with changing job titles and expanding responsibilities of the modern administrative workforce. Recognize the professionals in your life with a gift of flowers. 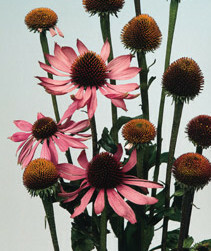 Visit us on line at www.mischlersflorist.com or call us at 716.632.1290 and thank those who deserve your recognition. Before you toss your plastic pots into the trash and ultimately a landfill, think about recycling. Thousands of tons of trash are distributed into landfills every year. Mischler's has been recycling their pots for years.Unusable plants that remain at the end of each growing season are recycled into our compost pile along with plant trimmings. The compost is periodically turned and eventually used as part of our container mix for custom container planting and retail sales. The pots are cleaned and reused in the production of the next seasonal group of plants. If you bought your plant at Mischler's, we are more than happy to accept them for reuse. The reusable containers include our green or black 3.5" and 4.5" square pots, 6" and 8" round and our 1 gallon sizes. The next time you visit us for your seasonal annuals, perennials or houseplants, drop off your previous season's containers for recycling. Mother Earth thanks you... and so do we. Mischler's - We Grow, Show and Go Green! Here is a list of local activities you might want to take advantage of during the month of April. A day to remember those people who make the Boss look good! Mon.-Fri. 8 a.m - 5 p.m. Sat. 9 a.m - 5 p.m. Sun. 10 a.m - 4 p.m.